Imagine working twenty hours a week at a part-time job for five years — and never getting paid. That’s the average amount of time volunteered by long-term health care caregivers as they help care for a friend, family member or acquaintance. This will impact a lot of us — 40 percent of all women 18 or older and 37 percent of all men 18 or older provide care for someone. It can be as simple as driving to the grocery store and helping clean the house, or as extensive as helping with daily bathing and eating. 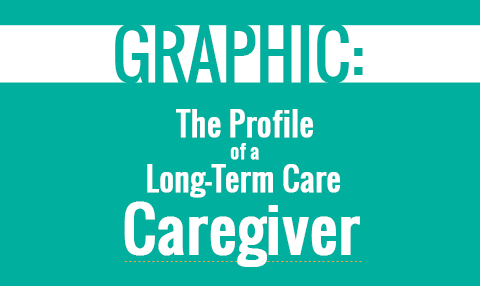 On average, a long-term health care caregiver is a 49-year-old woman caring for her widowed mother. Why does this matter? The AARP has found data that shows that a 50-year-old or older family caregiver who leaves the workforce to care for a parent forgoes, on average, $304,000 in lost salary and benefits over their lifetime. These estimates range from $283,716 for men to $324,044 for women. Being a caregiver can hurt women especially hard. Besides a higher amount in lost income compared to men, women who are family caregivers are 2.5 times more likely than non-caregivers to live in poverty and five times more likely to receive Supplemental Security Income. And 20 percent of employed women caregivers over 50 years old report symptoms of depression, compared to 8 percent of their non-caregiving peers. Lost productivity and time-off costs business an estimated $33.6 billion a year; a full-time working caregiver costs his or her company a yearly average of $2,110.20. Tuesday night on the PBS NewsHour, we take a look at these caregivers — some 42 million Americans and at one state’s proposed legislation that would give them better tools to be able to care for loved ones. Here’s a look at what these long-term health care caregivers look like.